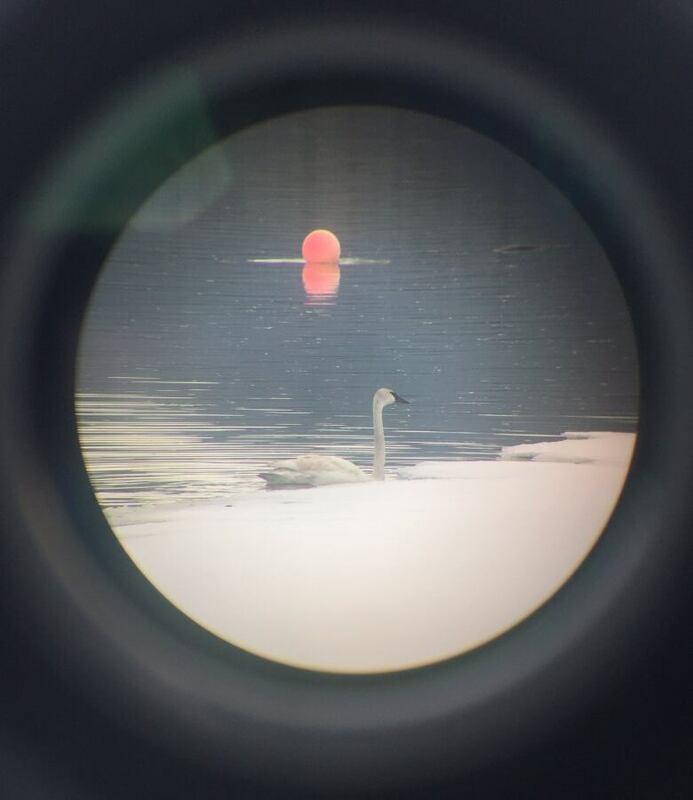 One wildlife expert says seeing more than 2,000 trumpeter swans at the sanctuary is unusual, but on Saturday there were nearly 3,000 counted. Yukon bird watchers were trumpeting some exciting news this weekend — a record-high count of migrating swans stopping over at Swan Haven on Marsh Lake. On Friday, the official count of trumpeter swans in M'Clintock Bay was 2,763 birds. That was impressive enough, but even more arrived on Saturday, when 2,931 were counted — the largest number on record. "Anything north of 2,000 swans is significant. We haven't crossed that threshold all that often, in a couple of decades of counting out there," said Scott Cameron, wildlife viewing technician with the Yukon government. "To have them keep climbing throughout the weekend was pretty unexpected." Every spring, migrating swans rely on the the ice-free water of M'Clintock Bay in Marsh Lake as a place to feed and rest. Yukoners then flock to the Swan Haven Interpretive Centre to view the birds from a distance. Cameron says it was great weekend for viewing — and listening. "Three thousand birds make an awful lot of noise," he said. "Just the way the ice is melting out there now, the birds are fairly close to our ice trail that people can stroll, on the shoreline. So the viewing is getting better and better." Trumpeter swans are the largest species of waterfowl in North America and were almost driven to extinction a century ago. Since then, they've made a comeback and Cameron says the population has been steadily climbing in recent decades. "So it makes sense that if there's more birds out there, that they're going to stop and rest and feed where there's open water — and that's what we have at Swan Haven." It's not exactly easy to count thousands of distant, white birds seen against a backdrop of snow and ice, but Cameron says Jukka Jantunen, who runs the interpretive centre and does the daily count, is pretty accurate. "Obviously when you're talking 3,000 swans and hundreds of other ducks, you're not getting every single bird. But with his tricks and techniques, you can get pretty close," Cameron said. "He scans the bay with his spotting scope and basically does a head count." The numbers of all birds counted — not just swans — are uploaded each day to ebird.org, an online birding database managed by the Cornell Lab of Ornithology. 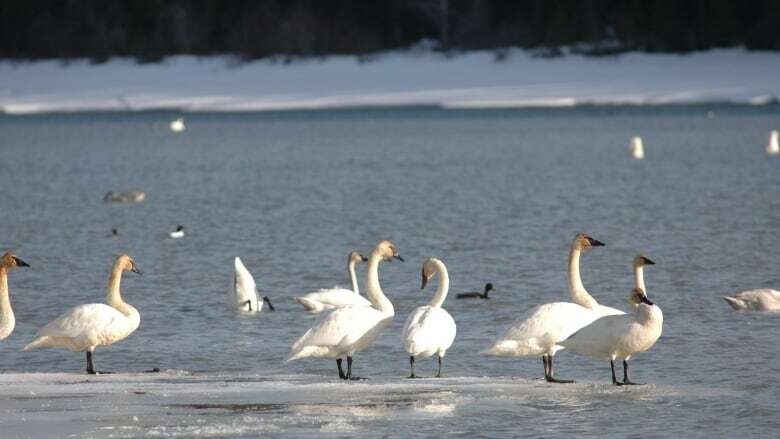 By Sunday, the number of birds at Swan Haven had dropped from the previous days, but not by much — 2,192 trumpeter swans were counted. Yukon's annual "Celebration of Swans" continues until May 5.